Inventek eS-WiFi integrates Cypress PSoC and Broadcom Wi-Fi for Embedded Device to Device Communication. Inventek and Cypress Semiconductor worked together to offer a PSOC sensor platform that will allow customers to simply add 802.11 b/g/n Wi-Fi to their products. The Inventek serial-to-Wi-Fi evaluation board plugs directly into the Cypress PSoC 3 (Cy8CKIT-030) or PSoC 5 ( CY8CKIT-050) evaluation boards. 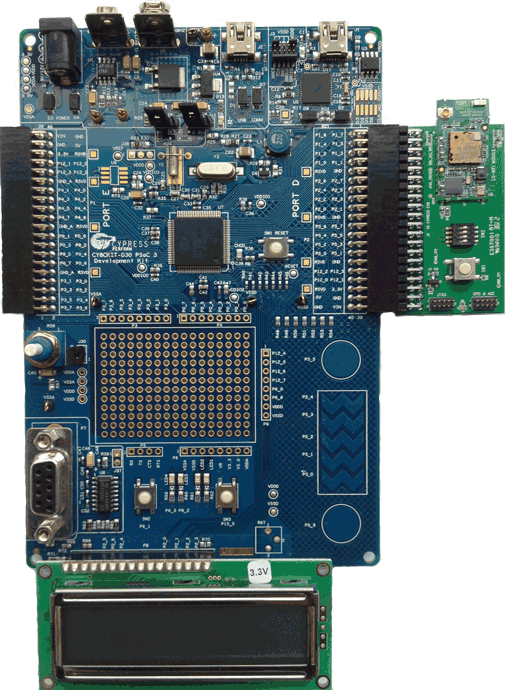 The Inventek evaluation board comes pre-loaded with serial— to- Wi-Fi firmware that supports the AT command set, soft access point and demo software. Temp. 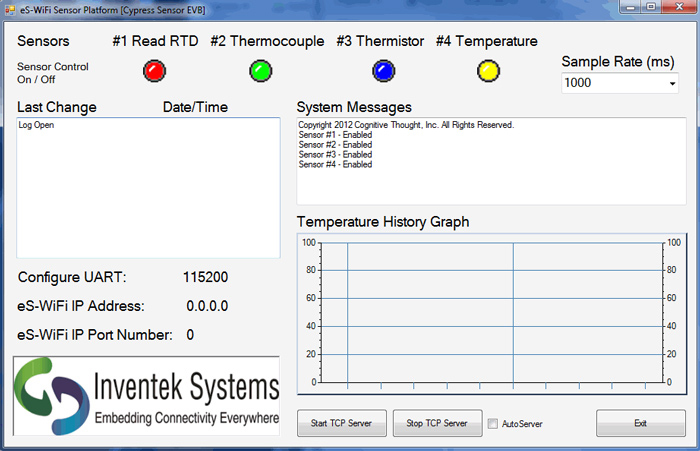 Sensor Demo Software Platform 2: Platform software that allows a user to sample four Temperature sensors with the PSoC, parse the data with PSoC and setup a TCP/IP connection and send data to a PC application reading and graphing the temperature data.